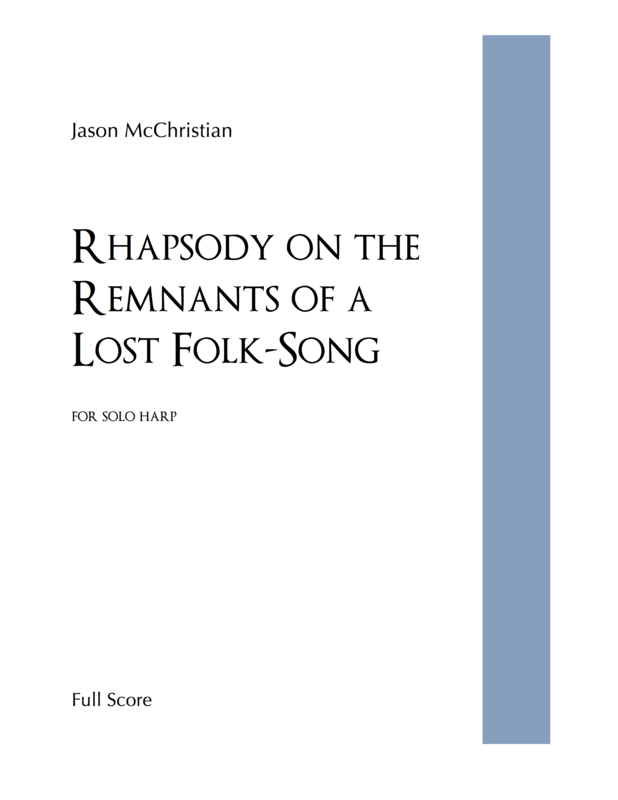 Rhapsody on the Remnants of a Lost Folk-Song was begun during one of those ideal sunny weekend days in a coffee shop in August of 2007. 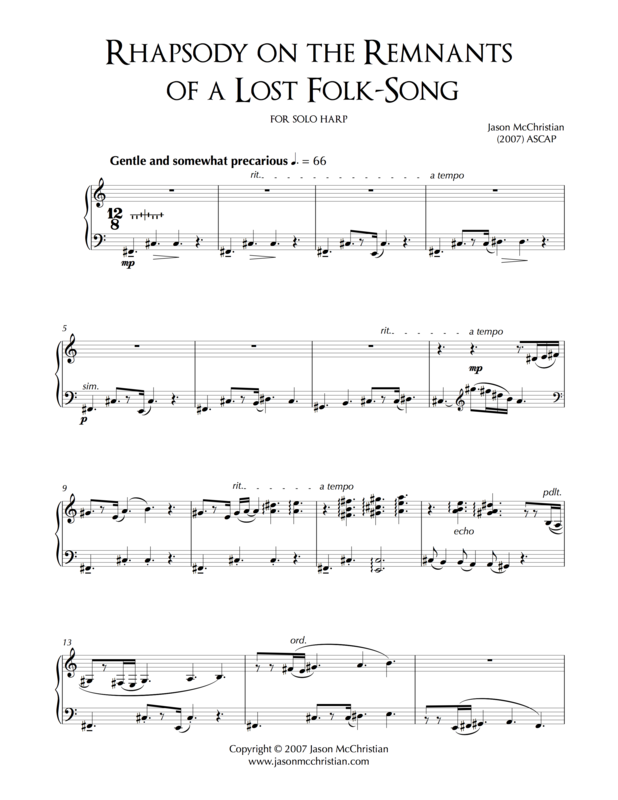 My intention for this composition was to create a simple tune based on a mode accompanied by a waltz-like figure. The tune (never heard in its complete form) is carried through a few variations, at times stately, other times modest. The piece also features recurring juxtaposition of the pitches E and F#.